Call 1-888-997-PLAY (7529) for help registering! 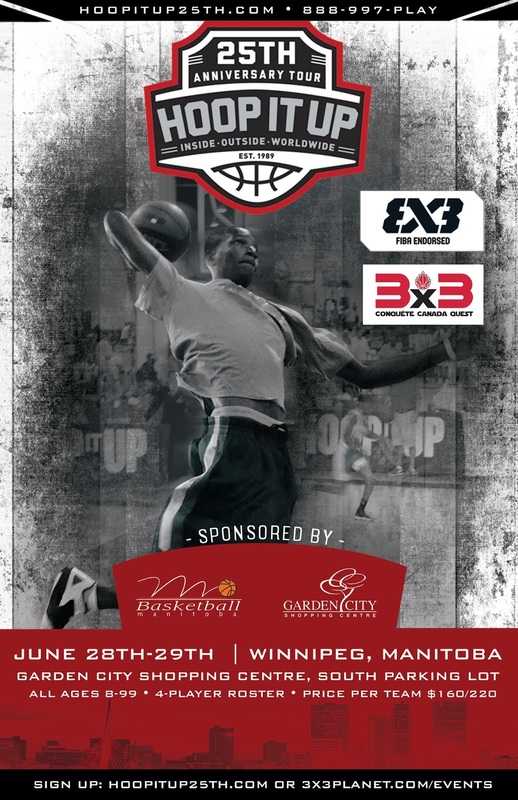 DEADLINE THIS WEDNESDAY - NO EXTENSIONS: Basketball Manitoba is very excited to announce that after a 5 year absence, the world's largest 3on3 basketball tournament is returning to Winnipeg on June 28-29 at the Garden City Shopping Centre. The 25th Anniversary Season of Hoop It Up is coming to nine cities across North America in the summer of 2014 and Winnipeg is the only Canadian stop on the tour. 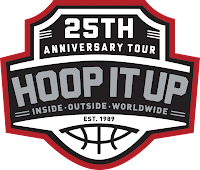 Winnipeg joins other major US cities including Washington DC, Philadelphia, Dallas, San Antonio, Denver, Phoenix, Fort Lauderdale and Albuquerque on the Hoop It Up North American Tour. The Winnipeg stop Is open to males and females ages 8 and up and is a FIBA 3x3 Certified Event that is recognized by Canada Basketball under the Canada Quest Series of 3x3 tournaments. A new addition to the event will also see a wheelchair basketball division for ages 14 and up. The event will also use the new FIBA 3x3 Planet online interface which includes the new 3x3 World Player Ranking system. Cost to register a team of four is $160 or $220 for the men's Top Gun division with those winners off to CHICAGO to the World Tour Masters Tournament in August. Deadline to register at team is Wednesday June 25 at 11:59 pm - NO EXTENSIONS. 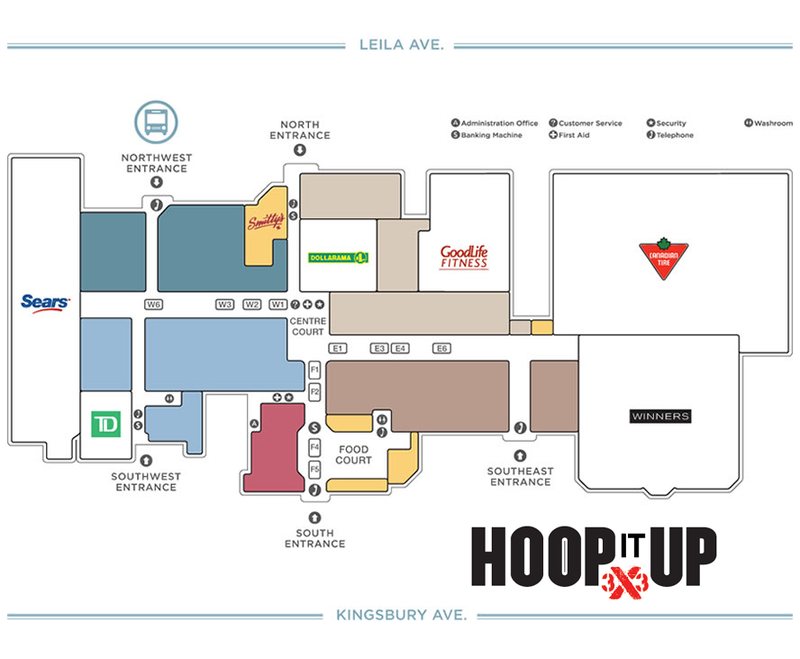 The Hoop It Up Team Check-In will occur on Friday June 27, 2014 at the Garden City Shopping Centre, Centre Court in the mall (map below). All teams must send a team representative down to the check-in to pick up their team schedule, team T-shirts and other information. Basketball Manitoba Executive Director Adam Wedlake commented, "We are thrilled to have the biggest outdoor basketball tournament back in Winnipeg this summer! To join other major US cities on the tour is a huge opportunity for us to showcase and connect with the North American basketball scene! We see this event as a great new opportunity to connect to the exploding 3x3 world as the 3 on 3 game is moving closer and closer to becoming an official Olympic discipline as early as the 2016 Rio Games!" Don’t miss your chance to be a part of history and show the world you’ve got game! HOOP IT UP is the world's premier grassroots 3x3 basketball tour and is open to males and females, ages 8 and up. All skill levels from recreational to Top Gun are welcome to play this fast-paced and skillful game! The best ballers north of the border will be in action when HOOP IT UP goes international and returns to Winnipeg on June 28th and 29th! 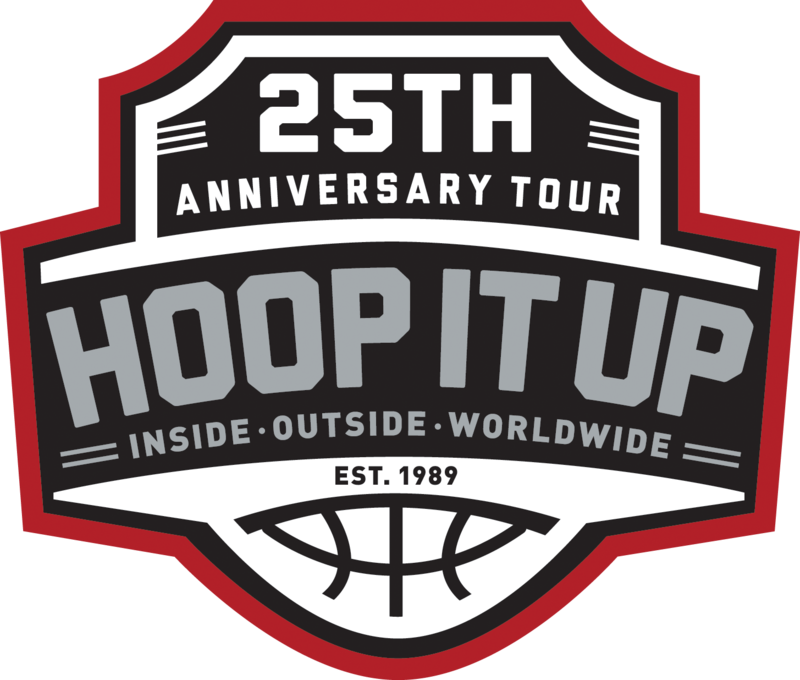 2014 is the 25th Anniversary season of HOOP IT UP and the Tour is thrilled to be heading back to Manitoba. All the fast-paced, high-flying action will be at the Garden City Shopping Center. Don’t miss out on your chance to show that you can play with the best. Sign up today and be ready to bring your game when HOOP IT UP comes to Winnipeg. Rule Modifications: Game times are 25 minutes each or 21 points, whichever occurs first. Top Gun Male will use a 12 second shot clock and a size 6 basketball. All guest rooms are equipped with ​complimentary wifi internet, coffee makers, refrigerators, hair dryers, irons and boards. Guests also have access to safety deposit boxes and voice messaging. Guests also have exclusive use of ​Splasher’s Indoor Pool and Waterslide. 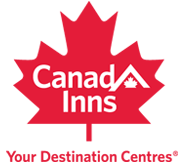 Please visit the hotel website at http://www.canadinns.com/gardencity for more details. These rooms are being held for Hoop It Up until May 27, 2014. After this date, the special price will still be available but room availability may be limited so reserve now! 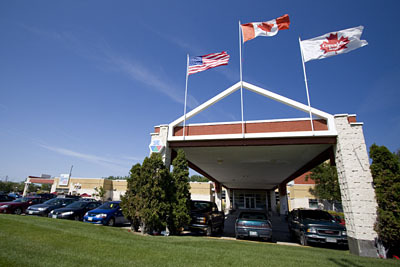 To reserve your room, call 1-888 33-CANAD (22623) and ask for the 'Hoop It Up' (​Group #168096) rate. VISIT OUR HELP PAGE or Call 1-888-997-PLAY (7529) for help! The 3x3 Federation Ranking is the main criteria used to identify the teams qualified to the national-team based 3x3 Official Competitions. It is based on the 3x3 Individual World Ranking. The 3x3 Individual World Ranking takes into account the number of points collected by players in the last 12 months. 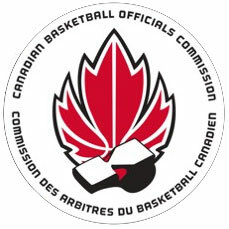 National Federations are ranked according to the aggregate points tallied by their Top 100 nationals in the 3x3 Individual World Ranking in the men’s category, who have a confirmed 3x3planet.com account. The 3x3 Federation Ranking will be published on a monthly basis on www.fiba.com/3x3. National Federations can check the most updated ranking at their convenience with their exclusive access to www.3x3planet.com, FIBA 3x3’s online platform. Need help registering? Call 1-888-997-PLAY (7529) for help!